Although the precise date the term Camino Real was originated is unknown, it is a fact that it was applied to roads the State constructed to strengthen the relations between two or more cities. The reason was for commerce or the movement of people and usually came by order of a king, hence the term Real. Many similar roads can be found throughout the world. However, we are going to discuss the Camino Real in the Californias, also known as Camino de las Misiones. The road was located between the missions of the three Californias and was developed by the different orders of missionaries who populated the area: Jesuits, Franciscans and Dominicans. Over the centuries, the Camino Real has been mostly destroyed or replaced. It is presumed the tribes that inhabited the peninsula were obstinate at first. They were isolated and reluctant to change to such a degree that they sometimes became violent. Consequently, it was difficult to construct these channels of communication. However, it wasn’t only the tribes that complicated the construction of the roads. The location and the supply of materials were big challenges. 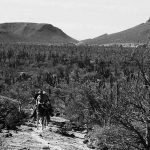 The geography of Baja California, isolated, arid and desert, made the development of the mission route even more difficult. The problems associated with building the road strengthened the resolve to evangelize the inhabitants. 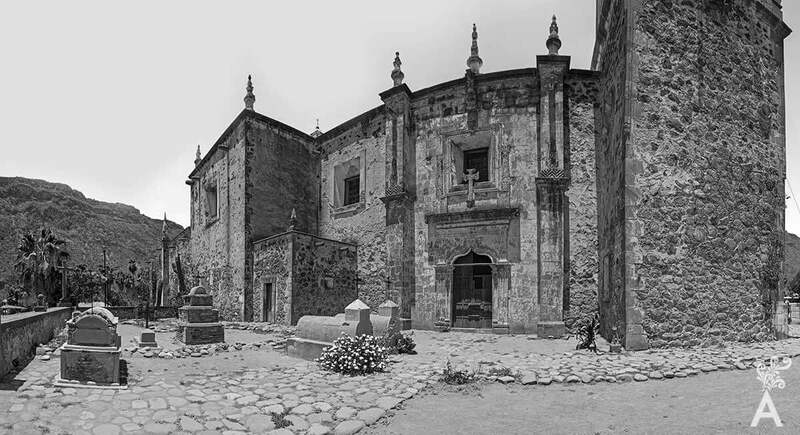 From 1683 to 1685, Father Eusebio Kino and Admiral Isidro de Atondo y Antillon, who served as the battalion chief, worked to establish the first mission north of the city of Loreto on the San Bruno stream. It was appropriately named the San Bruno Mission. The mission failed for several reasons: difficult access, isolation and an unsustainable environment. Today, only a few rocks remember the mission was ever there. 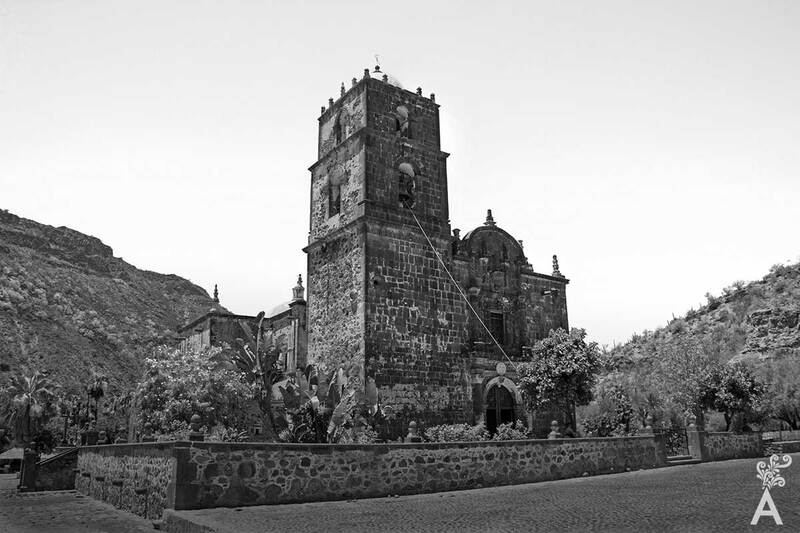 More than a decade later, the first successful mission called Our Lady of Loreto, was established in 1697. It is there the first trace of the Camino Real can be found. The road linked with the Mission of San Francisco Javier Vigge, established in 1699. Both were Jesuit missions. The latter was promoted and developed by Sicilian Father Francisco Maria Piccolo. The most convincing evidence of the success of this first stretch of the Camino Real is that both missions remain in good condition even today, unlike San Bruno. This road started from the beautiful beaches of Loreto and entered the Sierra de la Giganta up to San Javier, amid impressive and beautiful landscapes. The purpose of the road project was achieved, despite temporary abandonments due to constant Indian attacks. Little by little, the Jesuits, accompanied by military and volunteer teams, advanced their purpose of establishing different missions. Along the way, they always left the main road infrastructure, Camino Real, as well as secondary roads. The emphasis on construction and the joy of work were characteristics of the Jesuit order. The missionary spirit was reflected in Juan Maria de Salvatierra, Francisco Piccolo, Pedro de Ugarte, Basaldua, Mayorga and, of course, the Father Nicholas Tamaral who lived in La Purisima and in San Jose del Cabo where he was assassinated by the Pericues who resisted the Catholic idea of order. Considering the scarcity of technological possibilities and economic resources, it can be said that this was a great work of engineering achieved with much patience and tenacity. Between 1683 and 1834, 36 missions were constructed on the peninsula as well as 21 more in Alta California. The Camino Real united all of them. Over the long period of construction, more than 150 years, no one could imagine or witness the sacrifices, hardships, and long hours of labor involved in this backbreaking work. The truth is that today, many of the sections remain just as they were in private estates, areas of economic development and tourism, cattle ranches, agricultural and communal lands. 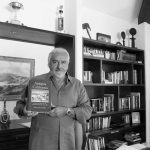 In other areas, the road is the base of a present highway or it has become streets that pass through populations of the three Californias who, curiously, respect the name Camino Real. For logistical reasons, the route is not linear. In many cases, it is circuitous such as the two-way route that links San Jose del Cabo with La Paz; the Mission of San Jose del Cabo Añuiti with Mission of Our Lady of Peace Airapi; or, when arriving at Nueva Santa Anita, the road that splits towards the Mission of San Luis or that of Our Lady of the Dolores of North Apate. In other sections, circuits were not made but rather branches. Crossing the Sierras de la Giganta and San Pedro was not an easy task, so they chose to turn it into a diversion. In California, USA, the Camino Real was built from the El Descanso Mission, a few miles south of Rosarito, to San Diego de Alcala, founded in 1769. When the Jesuits were expelled, the road fell into Franciscan hands. 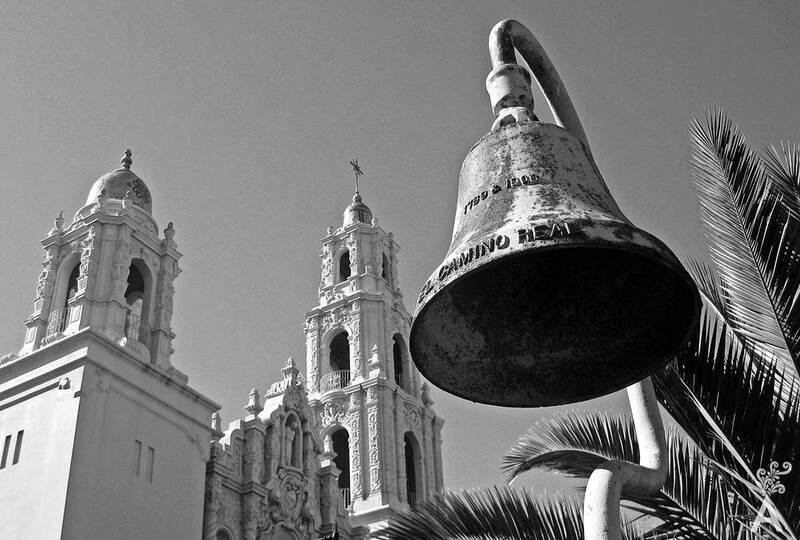 Evangelization in upper California began in the summer of 1769 with the arrival of the Portola expedition in the area now called San Diego. 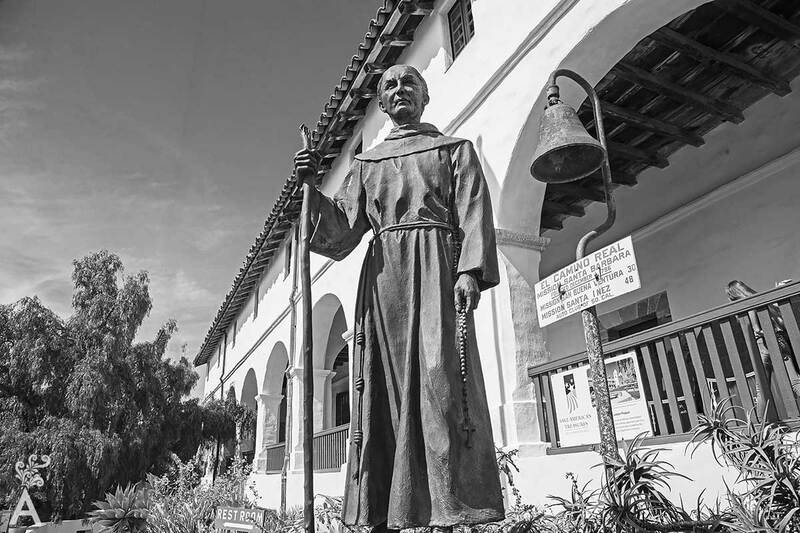 Fray Junipero Serra accompanied the expedition and, on July 16 of the same year, established the first of the Franciscan missions in the present State of California, the mission of San Diego de Alcala. 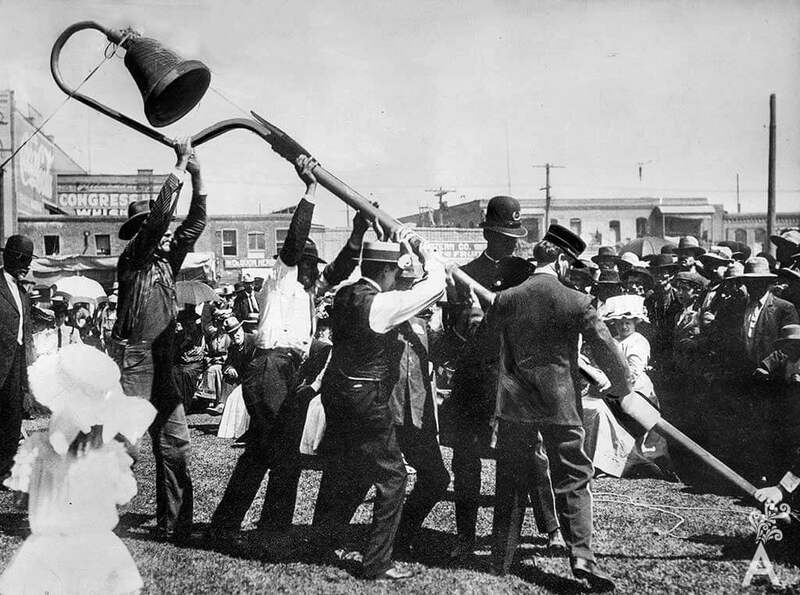 The process of evangelization in upper California was based on three types of settlements: the missions dedicated to the natives, the populations of Hispanic settlers and the presidios. The latter were fortifications. Inside the walls resided a small population of both military personnel and civilians with their respective families, as well as all the necessary services: houses, workshops, warehouses and a church. Four presidios were created: San Diego, Santa Barbara, Monterey and San Francisco. All were close to the missions of the same name. The Camino Real of the Californias, or the Camino de las Misiones, extended to each of them. It should also be remembered that the means of transport used during these time periods were primarily horses, donkeys and mules. Carts were occasionally improvised. 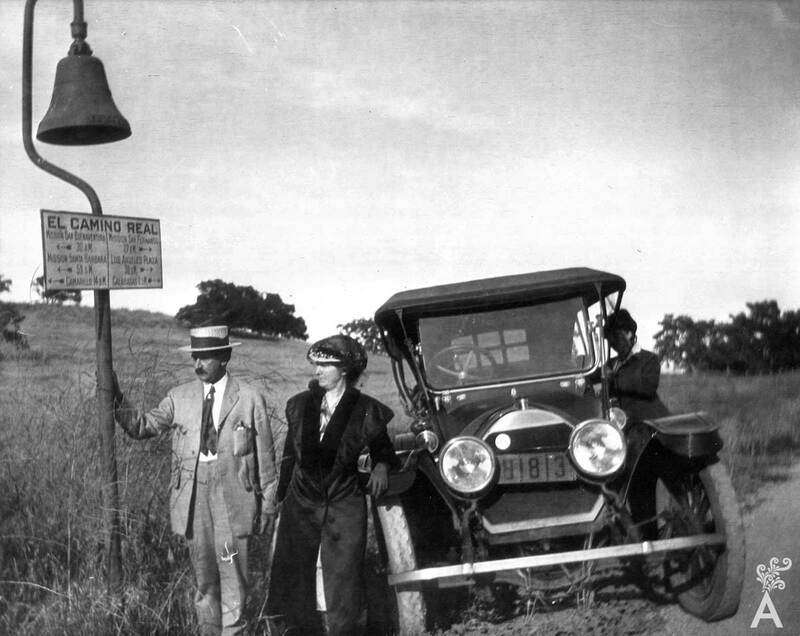 However, records show the first Ford cars also traveled this road on the peninsula. Surprisingly, the second Ford agency in the country was established right in San Jose del Cabo, where the model T and later model A Fords were sold. It’s surprising because the roads on the Baja California peninsula presented some obvious difficulties. It was not until 1974 that the Transpeninsular Highway was paved from Cabo San Lucas to Tijuana. The actual work started almost five decades ago. Before that, the Camino Real, the streams, the valleys and some neighborhood roads were the way to travel the picture postcard landscapes of one of the most beautiful tourist areas of the world. It was and always will be an incredible adventure full of color, sounds, nature, peace and harmony with the environment. Traveling from Cabo San Lucas to Tijuana takes between 18 and 22 hours. The same journey almost 200 years ago on the Camino Real could take 12 to 16 weeks.